Cards by Rita: FMS 18: Candy! 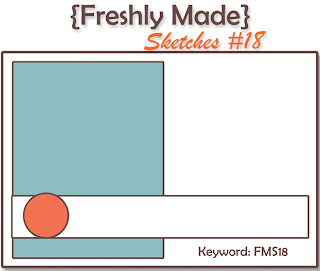 My buddy Linda has a fun new sketch for everyone this week at Freshly Made Sketches. I love simple sketches because it really allows my mind to think up so many possibilities! I did struggle to narrow down what I wanted to do this week, but as I was waking up yesterday I got an idea for a card. I love when that happens. My idea was to make a shaker card using the Candy Conversations a la carte stamp from the new Mini catalog. I LOVE candy hearts, so this stamp was on my very first order from the catalog. Unfortunately, it didn't turn out quite like what I wanted as I am not feeling very creative lately. I know I had mentioned that I wanted to stamp every day this month, but it just hasn't happened. Hopefully I will get around to doing it a bit more. I've just been so discouraged with my results lately that I've been avoiding my room. I do think I'll try the idea again in some different colors. Pretty in Pink is just not a color that I like that much so maybe that's why I'm not loving my card. I'll try to post a few pictures of the new things I picked up for the baby this week and some ideas I had for the wall color of the nursery. I know a few of you warned me about the gray, but Pinterest has me determined to make it happen! Love the colourful candy hearts inside the shaker. Are you kidding me?? This is wildly creative and stinkin' cute, Sassy! 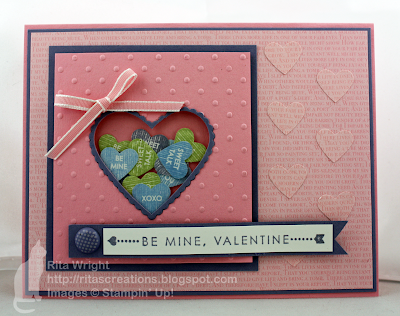 What a clever idea to make a heart shaker card and I love the tone on tone hearts in the background. Fantastic card, my friend! I love those shake-able hearts :) And I'm with Nance - the hearts on the side panel are a wonderful detail! Love this! Dear Rita.. I hope your candy tatsted good :) I loved seeing your card. I would not have thought of pink and blue but they look great together. And your card really has style and a sweet elegance to it. So well done. Don`t be to hard on yourself. :) I am sure it will give a smile on someone`s face..
OH MY!!!! Rita when I saw your card this week I thought, what a COOL card! I have never made a shaker card, you always create the neatest projects! Now following! 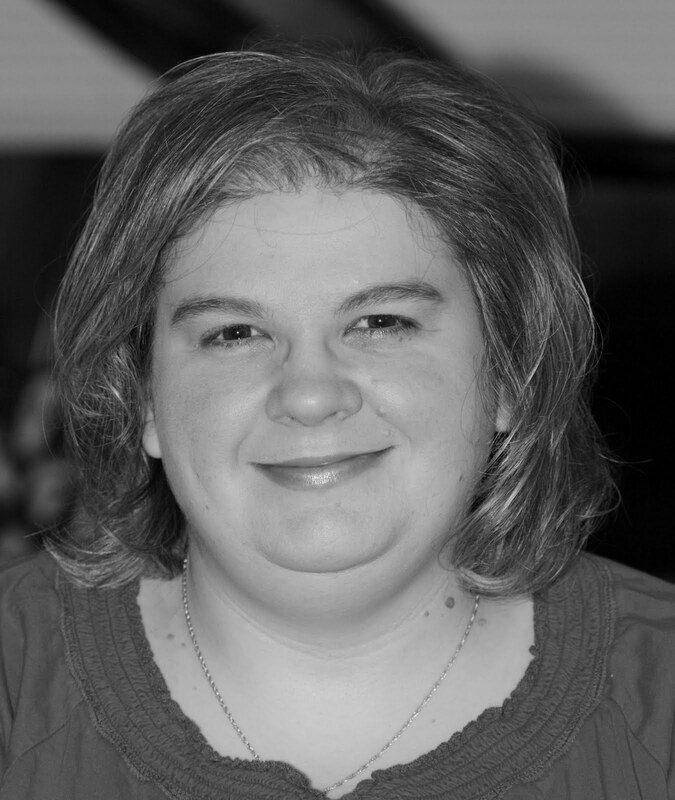 I found you via stampin connection. This very cute. I love the conversation hearts you made. Well I think this is inspired! Love it! Your card is so cute, I love all those hearts. What a fantastic card Rita! I LOVE conversation hearts - they're my favorite Valentine candy! Great idea to incorporate a shaker heart into the sketch! Oh my word, Rita...this is awesome! It totally looks like a pack of candy hearts. The no calories kind, so it's even better! This is fantastic, Rita! I love the colors and the hearts in the sweetheart cups as well as on the panel itself - what incredible detail!!!! Hope you are enjoying San Antonio! I agree. Fantastic card. Such a cute and clever way to showcase the 'candy' hearts. Thanks for sharing! This is a CASE'ing card, for sure. How cute is this card? So fun!!! I haven't been feeling very creative lately either, hoping my mojo comes back soon!